In the previous post we’ve learned that mold can affect human health in a variety of negative ways. According to Environmental Protection Agency (EPA), symptoms and human health effects attributed to inhalation of mycotoxins have been reported including: mucous membrane irritation, skin rash, nausea, immune system suppression, acute or chronic liver damage, acute or chronic central nervous system damage, endocrine effects, and cancer. More studies are needed to get a clear picture of the health effects related to most mycotoxins. However, it is clearly prudent to avoid exposure to molds and mycotoxins. It is also important to know that molds can produce several toxins, and some molds produce mycotoxins only under certain environmental conditions. The presence of mold in a building does not necessarily mean that mycotoxins are present or that they are present in large quantities, but who wants to take chances when the health of your family is at stake? The bottom line is—mold should be avoided at all costs. So how does it get inside of your home and what does your roof have to do with it? Mold thrives in moist environments; so if moister starts accumulating under your roof, this is a direct invitation for mold. Following this logic, if you can prevent moisture from entering your home (through your roof siding) you’re most likely going to prevent mold growing in your home. The following are the most commons ways for moisture to enter your home through the roof. 1) Old, worn out shingles. Roof algae, lichens and/or moss can eat through your shingles and into your roof deck causing wood rot. When the wood rots, moisture gets in through the cracks and creates an environment hospitable to mold growth. Old shingles wear out with age and tear or curl up at the corners. Look for changes in the surface and shape of you shingles. 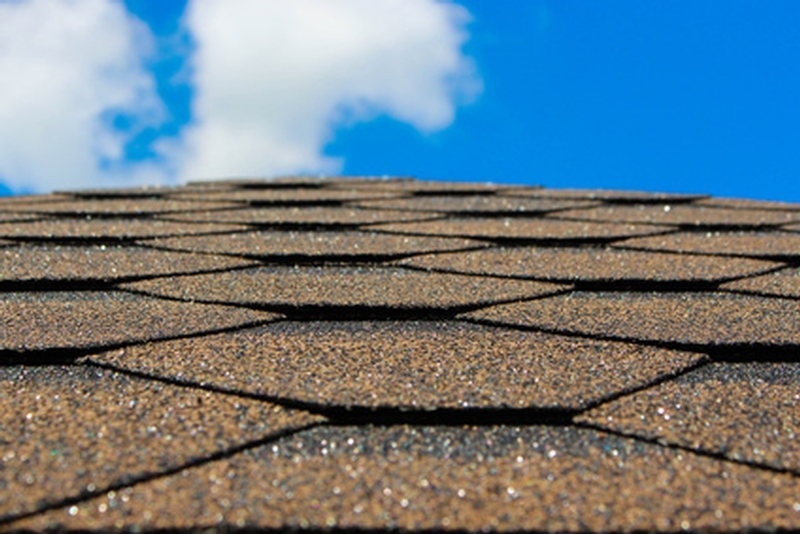 All it takes is a few small cracks throughout the roof, but if the cracks are clearly visible, it’s time to call your roofer as soon as possible. Remember, mold can form if moisture accumulates in a spot over a period of time-it doesn’t take a huge hole in your roof for moisture to get inside. Once the mold starts growing, it can turn up virtually anywhere inside your house where moisture is present including wood, paper and carpet. 2) Shingles damaged by hail. Hail comes down with a powerful force. Hailstones fall at least 22 mph, can fall up to 100 mph. When falling from 20,000 feet or higher, large hailstones pack quite a punch! The biggest problem with hail damage is that it’s not that easy to spot and looks can be deceiving. Sometimes what looks like a nasty crack is just a superficial damage affecting only the outer part of the shingle. It still needs to be addressed eventually, but it may not be enough to cause a leak. And yet a tiny hairline fracture on a single damaged shingle can begin a slow leak that will grow worse with time. Click here to read our older post on hail damage identification. 3) Cracks in sealing around chimneys or damaged flashing covering seams. Cracked sealing around chimneys is also a common cause for minor, undetected leaks that can lead to the growth of mold. Replacing old roofing material with new material and fixing any cracks or holes can go a long way to stopping existing leaks and preventing new ones from springing up. Preventing leaks and moisture in general from entering your home through your roof is the best way to make sure you don’t have to deal with mold.